Is Your Headache Really Coming From Your Neck? We all get headaches from time to time. There are many types of headaches and many causes. One common and often overlooked type is the cervicogenic headache. This type of headache is caused by spinal problems in the neck. Cervicogenic headaches are often mistaken for migraines or cluster headaches, both of which originate in the head. Cervicogenicheadaches may be felt in the temples, behind the eyes, or in the back of the head, but they originate in the upper cervical spine. The brain interprets the pain as being located in the head because the upper three cervical spinal segments actually share nerve tracts with the cranium. The trigeminal nerve is the sensory nerve that transmits messages from your face to your brain. Problems such as arthritis or injuries to the neck, head or jaw can lead to cervicogenic headaches. Poor posture may also trigger a headache. Sometimes the symptoms of cervicogenic headaches are similar to those of a migraine. In both types of headaches, you may feel sick to your stomach, feel sick when in bright light or uncomfortable with loud noises, have pain in your arm or shoulder, or have blurry vision. Symptoms of cervicogenic headaches may also include pain from sudden neck movement, or pain when your neck stays in the same position for a while. Other symptoms may be steady pain, pain on one side of your face or head, pain that lasts for hours or even days, pain that stays in one spot, or a stiff neck. 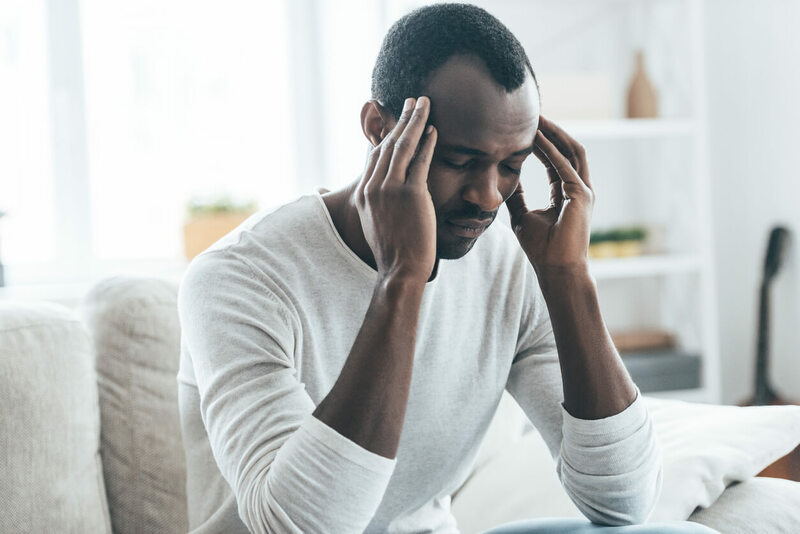 If your doctor suspects you may suffer from cervicogenic headaches, he or she will begin the diagnostic process with a physical exam and medical history. A series of x-rays will also assist in diagnosis. In some cases the doctor may order a CT or MRI of the cervical spine. Pain relievers, such as non-steroidal anti-inflammatories. Relaxation techniques, such as yoga, or acupuncture to relieve the pain. Other pain relief procedures, such as occipital nerve blocks. In some severe cases, your doctor may recommend surgery. An individualized program of physical therapy can help by improving mobility in the head and neck, as well as through the back. Strengthening and stabilizing the neck muscles can also bring long-term relief. Your physical therapist will help you correct the problems that are triggering the headaches. A program of stretches and exercises can restore strength and flexibility to the neck muscles. Improving the strength of the upper back and neck will give you increased endurance. Something as simple as improving your posture, by pulling your shoulder blades back and together can make a difference. Change your computer screen so that it is no longer lower than your eye level. Make sure you have a good, supportive desk chair, adjusted to the correct height. Sit at a desk that is the proper height for you. Use a headset instead of a regular phone so that you are no longer holding the phone with an awkward neck position. Take frequent breaks throughout the day to move about and stretch. Remind yourself throughout the day to sit or stand with good posture — you’ll feel better and you’ll look better! If you suspect you may have cervicogenic headaches, work with your doctor and physical therapist to reduce or possibly eliminate the pain. We are here to help you.